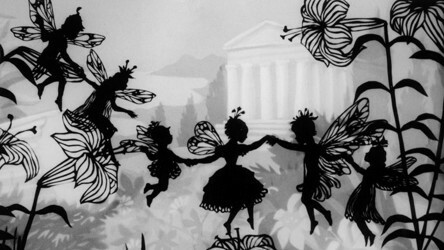 Over the past year, we've showcased numerous exciting and unique archive film projects taking place across England, each demonstrating the power of archival footage in filmmaking. It's been a tremendous journey for everyone involved, with young people being able to explore a fresh medium, create their own films and connect with important topics including the Suffragette movement and the history of their own school. 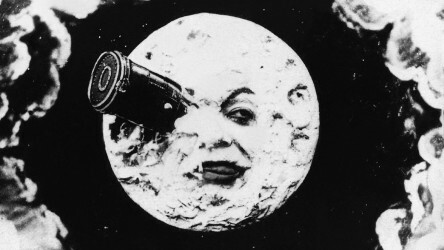 Meanwhile, the projects have allowed us to connect with an eclectic range of partners from London's Screen Archives to Latitude Festival. Following on from a piece on the EAFA and their Mashup Competition and one on the Courage and Communities mobile filmmaking project, below, Into Film Programme Delivery Coordinator Jane Coulter discusses two exciting archive projects that took place in South West England. Join us as we share and explore examples of British film spanning the past 120 years. 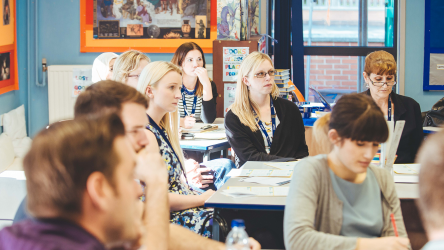 Over the past year, primary school classes and film clubs from across the South West of England have been taking part in special workshops designed to explore archive film from their local areas. Supported by regional archives The Box, in Plymouth, and Wessex Film and Sound - and taking inspiration from the rich catalogue of archive material that can be found on the Britain on Film: BFI Player - each group took a journey through the past 100 years of film, looking at how filmmaking has developed, and how in preserving old film, we are preserving history for future audiences. Three of the participating schools were also lucky enough to take part in a special filmmaking workshop capturing school life in 2018, generously funded by Historic England's Heritage Schools Programme. We look at two of those projects in more detail below. It's been eleven years since two South Gloucestershire primary schools amalgamated to form Kings' Forest Primary in the town of Kingswood, Bristol. 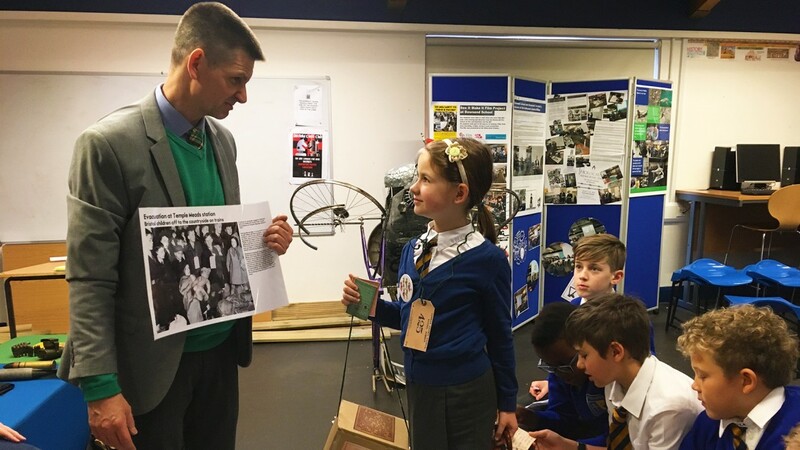 By talking to former pupils of both Falconride and Deerswood Primary - and with a little help from Calling the Shots - children were able to capture the differences between life at school then and life today. Watch the film below to see the results. It was really beneficial to see changes in our local environment. Children were really engaged in this, and it provided a lot of questions to investigate within our history lessons. 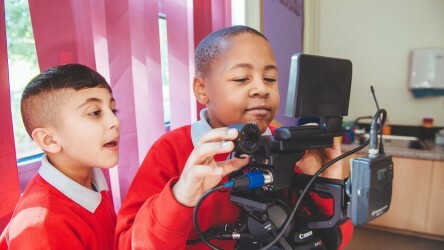 Situated in Newport on the Isle of Wight, Barton Primary School has only been at its current location for two years, so the children involved in the project were able to bring their first-hand experiences of both locations to their filmmaking. Children worked with professional filmmakers from Southampton based City Eye and then were lucky enough to visit the Apollo Theatre the following day to see their film on the big screen! Watch their film below. I loved using the camera, microphone and light reflector and being interviewed. For anybody feeling inspired to learn more about archival footage, entries are once again open for the East Anglian Film Archive (EAFA) Mash-up Filmmaking Competition. The competition challenges you to make a short film (1-5 mins) featuring EAFA archive footage. There are two categories (Under 18s and 18 and Overs) and you could win a cash prize and the chance to see your film on the big screen. Jane is a film studies graduate based in Bristol and working across the South West of England. She has spent her career working in both film production and education and is a big fan of the TV show Columbo.